Austria wished to capture Hungary to be strong in the Central Europe. As Austria attacked Hungary, the peace environment formed with Peace of Vasvar collapsed. Ottoman State, in competition with the Austria for the Central Europe accepted the help request from Hungary. Vienna was sieged in 1529 the reign of Suleiman the Magnificent. Upon the developments above. Vienna was sieged by Grand Vizier Kara Mustafa Pasha of Merzifon in 1683. The siege lasted 60 days. 18 big attacks were made to the walls of Vienna during this time. European countries putting up their sect fights they did during the siege of Istanbul send forces by following the call for help by Pope. Murad Giray, Khan of Crimea, was assigned to hold the stone bridge of Innsbruck on the River Danube, 6 hours away to Vienna. But the Khan of Crimea did not defend this bridge and permitted the forces of Jan Sobıesky, King of Poland, to pass the River Danube, The Ottoman Army squeezed between the castle and Poland forces. Kara Mustafa Pasha had a severe defeat and had to retreat to Belgrade. Kara Mustafa Pasha wished to capture Vienna without laying it waste. He thought the city would exhaust and surrender. Therefore he extended the siege. The extenden siege caused that Vienna got help from European allies. Kara Mustafa Pasha was executed for his failure. His head cut was presented in the sengi ibret. 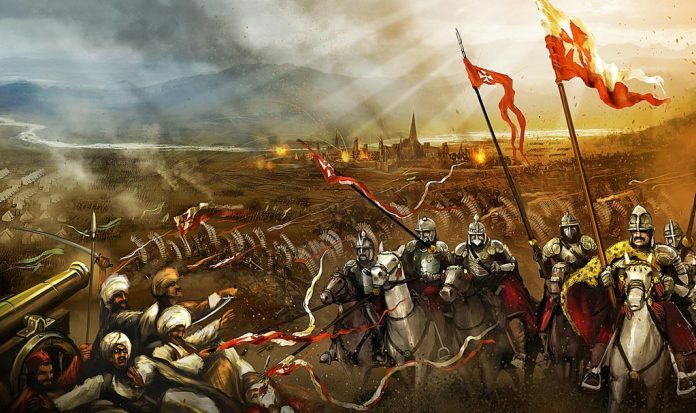 The siege and defeat of Vienna had great importance in the history of Ottoman Empire. Ottoman State, had no such defeat until that time, started to decline. European countries, after the siege of Vienna, established the holy alliance having the taking Turks out of Europe.